Happy returns for the baking Hazans; the Edwardses of McEwen's move on. Shalom Hazan has been baking bread and pastries in the Mid-South for more than 10 years. 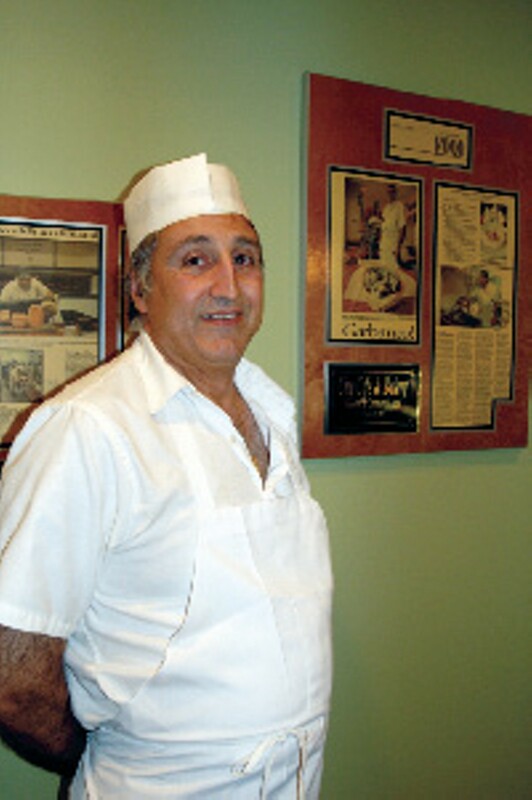 First, with his cousin Arie Hazan at Sweet Solomon's Bakery and City Bread, then at his own place, Olive Branch Bakery, which he opened in April 2004. About a year ago, however, Shalom and his wife Sandy decided to move back to Memphis, where they recently opened Shalom's Bistro & Bakery at Kirby and Quince in the Kirby Gate shopping center. "There were a few things that didn't go quite as planned when we decided to close City Bread, and we needed a cooling-off period outside of Memphis," Sandy Hazan explains. The thought of giving up the baking business altogether, however, never crossed Shalom's mind. "Sure, I could look for a job that doesn't require 16-hour days and pays more, but I would be miserable. The bakery is my playground, and I love what I do," he says while filling baker's racks with baklava and spanakopita. Three deli counters and a lunch buffet line one side of the bistro. There are hardwood floors, white tablecloths, and carefully placed artwork and personal pieces throughout the dining room. The counters show off freshly baked breads, bagels, assorted sweet pastries, Danishes, and whole cakes. There are also premium deli meats and cheeses and many of the Hazans' signature salads and Middle Eastern delicacies, such as Israeli salad, curried chicken salad, hummus, baba ghanoush, dolmas, black and green olives, and meatballs in sweet-and-sour sauce. The bakery currently offers sourdough, white, wheat, and marble-rye breads, challah, hoagies, and pita bread. As soon as he catches up with the demand, Shalom says he'll add some of the favorites customers remember from his City Bread days, such as jalapeno cheddar and rosemary-olive sourdough breads. "A lot of our customers come because they've heard we are back in town, and they've bought bread from us before," Shalom says. "But we also have a lot of people who just wander in. When they've come for the third or fourth time, they warm up and start chatting with us. Before we know it, they've become regulars." Shalom's Bistro & Bakery is open from 7 a.m. to 9 p.m. during the week and until 10 p.m. on weekends except Sundays, when the bakery opens at 8 a.m. and brunch is served in the bistro from 11 a.m. to 2 p.m.
"We wanted to create a place where people come after a long day to kick back and enjoy some good food in a casual atmosphere, make new friends, and eventually bring the whole family," Sandy says. "We want to be their dining room away from home." Shalom's Bistro & Bakery has two kitchens: one for the bakery and one for the bistro. Lunch is served cafeteria-style with several meat- and vegetable-plate options and deli-style sandwiches served on freshly baked bread. Spence McMillan, most recently of the Westin Hotel's Daily Grill, is responsible for dinner. The bistro may very well have one of the most interesting dinner menus in town. Chicken-and-dumpling soup is listed next to pan-seared sea scallops with orange fennel cream, lamb meatballs with caramelized onions, oregano, lemon, and garlic, and smoked duck Pizzeta. Entrées include a filet of beef, Chinese-spiced grilled catfish, marinated leg of lamb brochettes, chicken Marsala, and mahi mahi Grenobloise. While the bistro waits for its wine and beer permit, diners are encouraged to bring their own wine or beer. then-6-year-old niece Frances McEwen Edwards — in the space vacated by the old Red Rooster restaurant. Mac turned out the food, while his wife waited on customers. As the number of guests grew, so did the staff and the restaurant's space, which expanded to include a bar area and offices in 1999 and a wine cellar for private parties in 2001. Recently, however, Edwards decided it was time to move on. He sold the business to Bert Smythe, who will take over the restaurant with business partner and long-time friend John Littlefield at the beginning of February. "Owning and running a restaurant is a lot of work, and we had a good time doing it," Edwards says. "But now we're at a point where we feel it's okay for someone else to have a good time. "There aren't many people I would have considered as possible new owners, but I've known Bert for some 20 years and we have worked together on many jobs. I know that's what he wants, and I know he can pull it off," Edwards adds. Smythe has an extentensive background working in area restaurants. Among other jobs, he helped open Lulu Grill and worked as its manager. He managed Maxwell's and worked for Erling Jensen at his namesake restaurant for 10 years before taking a position as manager of catering operations at AutoZone Park. "When I told my boss [I was leaving], he said that when he hired me he knew that we would have this conversation one day," Smythe says. "He knew my passion was the restaurant business." McEwen's regulars needn't fear. Smythe says that most of the changes will be subtle, and customers probably won't notice much of a difference. Edwards will be on-site through May to make the transition as smooth as possible. 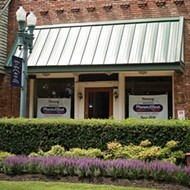 Coming soon to Collierville: Brooks Pharm 2 Fork and 148 North.